This May 20, 2016, file photo shows AR-15 rifles on display during the National Rifle Association's annual meeting in Louisville, Kentucky. 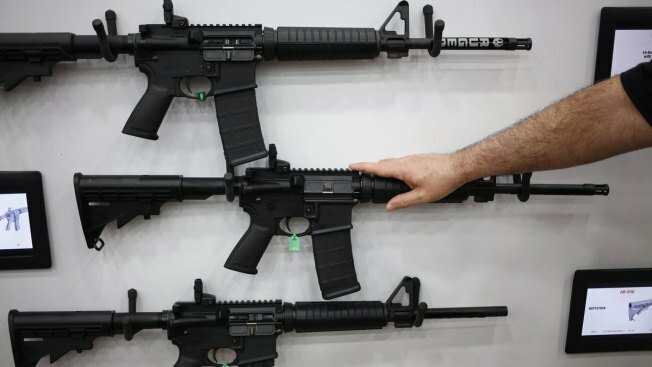 Under the new rules, set to take effect in just under a month, gun makers will no longer need licenses from the State Department to sell dozens of types of weapons to other countries, including the popular AR-15-style semi-automatic rifle that's been employed in many of America's worst mass shootings. Instead, sellers will need only a no-fee license from the Commerce Department, which has a less onerous licensing process and a smaller global footprint, making it harder to track how the weapons are ultimately used overseas. A State Department official, speaking anonymously because the final rules haven't been publicly released, stressed that all firearm exports will still be monitored by the U.S. government, via the Commerce Department.